It’s not like Spain, with its mild Mediterranean climate, is well known for its frozen lakes and canals. 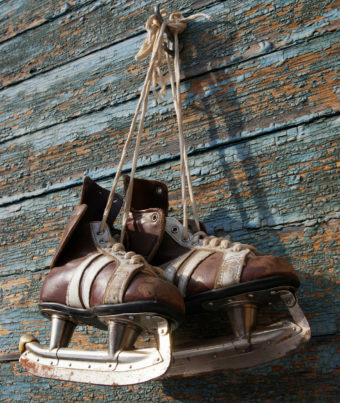 So why would its king contact craftsmen and tell them to drop everything and make 7,000 pairs of skates? And this was back in 1572, long before there were indoor skating rinks, hockey, couples-ice-dancing, or Disney on Ice. It’s unlikely that there were 7,000 Spaniards who had even heard of skates, let alone who would have been willing to put them on and stand on a slippery surface. Remember, there was a time when Spain controlled much of the world- not just in the New World or Africa, but in Europe as well. One of their holdings was the “Seventeen Provinces,” consisting of present-day Netherlands, Belgium, Luxembourg, and parts of France and Germany. The territory was acquired when the Duchess of Burgundy married into the Spanish royal family in 1482. The Dutch got the rawest part of the deal. Being of the farthest north of Spain’s European holdings meant that obtaining even a minor bureaucratic decision could require weeks or months of waiting while horsemen or ships traveled the 2,200-mile round trip from Amsterdam to Seville. That was bad enough. Then came the Spanish Inquisition. During this time, the Spanish king was also Emperor of the Holy Roman Empire of the German Nation. That was one of the reasons Spain’s kings and queens tended to go brutally overboard in enforcing faith in the Roman Catholic Church. They forced Jews and Muslims to convert or get out of the country in 1492. Then they created the infamous Inquisition to root out atheists, freethinkers, Christians of the wrong kind, and “former” Jews and Muslims who were only pretending to be converts to Catholicism. Torture, forced confessions, and burning at the stake were common tools of saving the souls of those deemed insufficiently Catholic. In 1566 the Spanish king Philip II got disturbing news about its most northerly provinces. There, people like Martin Luther and John Calvin had planted the seeds of Protestantism, and the noxious weed was growing deep roots. After trying out slightly gentler methods, Philip sent in Spanish troops with orders to scare the devil out of the Dutch, by any means necessary. But instead of thanking Philip II for his concern about their immortal souls, the Dutch people rose up in rebellion. Philip redoubled his efforts. The effect, of course, was to turn many of the Dutch provinces- even Catholics and normally pro-Spanish noble classes- against Spanish rule. Not all of them, however. Some towns were filled with people who still considered themselves Catholics and loyal subjects (or didn’t want trouble) and went out of their way to welcome and placate the troops. In November 1572, for example, the citizens of Naarden tried to negotiate surrender to the Spanish by inviting the invading army to a feast. After food and toasts and expressions of friendship, the army gathered the 3,000 townspeople into the church and attacked them with swords, then burned the survivors alive. Other cities and towns were similarly sacked, with an estimated 18,000 men, women, and children put to death. The news quickly spread through the rest of the Netherlands that if cooperation and surrender weren’t an option, resistance was the only alternative. But that wasn’t going to be easy. By late August 1573, the Spaniards were marching toward Amsterdam, and the small cities along the way didn’t have armies to resist them. Their leaders desperately considered the nearly non-existent options: Cold weather was just around the corner and not even evacuating citizens to hide in the woods would work. The Netherlands don’t have high places to use defensively. On the contrary, much of the Dutch countryside is flat (Netherlands means “low lands”), created by filling in swamps, lakes, and even the ocean floor. Twenty-five percent of the country’s land is below sea level, and most of the rest is just barely above. How do you defend a land like that? Perhaps inspired by the bible story of Israelites luring the Egyptian army into death in a boggy sea, the leaders of Alkmaar decided on a plan so crazy that it probably shouldn’t have worked: They would save their cities and towns by flooding them. Volunteers with shovels and pick axes went to work, breaking holes in the levees and dikes that kept the rivers at bay. When the Spaniards arrived, they discovered a huge, shallow lake where the maps showed farmland. In the center, barely raised above the water, the city sat on an island. Townspeople had flooded the land with just enough water to make it too shallow for troop transit boats, but too deep to cross on foot without succumbing to the cold or the arrows of marksmen hiding behind trees and dike walls. Even in warm weather, the water would slow attackers and leave them with nowhere to hide. The Spaniards looked at the setup and decided to go around instead of through, leaving the city unharmed… for now. Other towns followed suit, using small, fast-bottomed boats to get around. Since a lot of the land became a temporary inland sea, the Spanish retreated back to their ships and decided to attack Amsterdam through its harbor. They were aware that winter was coming on, but that didn’t seem to be a problem. In fact, it might be a solution, because all those impassable water defenses would freeze into ice highways leading straight to the so-far unpunished Dutch strongholds. The Spanish watched and waited. A few months later, the ragtag Dutch fleet got frozen into the Amsterdam harbor, giving the Spanish a chance to try out their strategy. Taking advantage of the helpless ships and undefended coastline, Spanish troops got their marching orders and set off on foot across the ice to attack the sitting-duck ships. As they stepped cautiously across the ice, they were confronted with a horrifying apparition. Off in the distance they saw a dark, shape-shifting mass of humanity moving toward them at terrific speed, then splitting amoeba-like and taking up positions on all sides of them. Alva didn’t gawk for long. He ordered a quick retreat, or at least as quick as the Spanish soldiers could go with slippery shoes and frostbitten toes. The Dutch masters followed behind, skating Alva and his men off the ice and picking off several hundred of them in the process. The Dutch had won, for now. General Alva eventually commandeered a pair of the skates. He sent them back to Spain with a message: If you don’t want to lose these faraway provinces, we need as many of these as possible, as soon as possible. And that’s why the king of Spain ordered 7,000 pairs of skates. Up on mountain lakes, the Spanish military started offering mandatory skating lessons for the next battle. 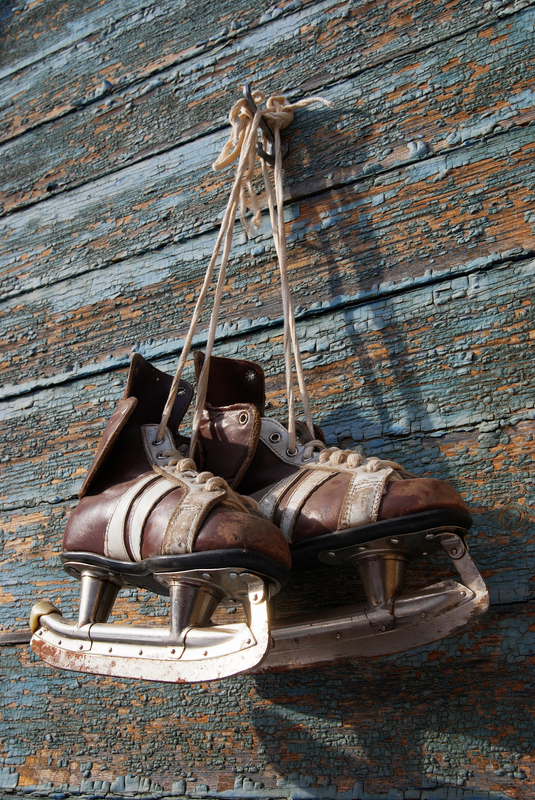 The Dutch, of course, having learned to skate skillfully from childhood, maintained a certain level of tactical advantage, but the Spanish did become reasonably competent at skating. As defenders, however, the Dutch held on to a significant advantage: They were able to get the Spaniards skating on thin ice, literally, by cutting the ice at tactical spots, luring their enemies into a deep, often fatal plunge into freezing water. The war lasted for eight decades, alternating between years of stalemate and years of horrifying brutality. Finally, in 1648, the provinces of the Netherlands and Belgium were able to drive out the Spanish, already deep in debt and spread thin by having to defend their empire all over the world. The Dutch would continue to use and refine strategic flooding as a defense tactic, adding miniforts to hold tactical roads and bridges, often planting trees along them that could be half felled toward the invading forces to create nearly impassable barriers. The “Dutch Water Line” tactic remained effective for nearly four centuries, until World War II’s bombers and paratroopers made it obsolete. In the early 1800s, Scottish engineer John L. McAdam developed a road making process that used pieces of broken-up rock about 3/4″ in diameter for a road’s surface. With use the gravel became compacted, and the surface smooth and durable. “Macadamization,” as it became known, was a vast improvement over other road building techniques at the time, and “macadam roads” could soon be found worldwide. Decades later, when the automobile came along, dust became a problem. In 1901 English engineer Edgar Hooley stumbled on a solution. He happened upon a macadam road on which tar had spilled. Someone had covered the spill with crushed slag- a byproduct of metal smelting- which absorbed the tar, took away its stickiness, and stopped dust accumulation. Within a year Hooley had patented a tar and slag mix which could be easily sprayed on macadam roads. He founded Tarmac Limited. By 1920 the term “tarmac” was being used to refer to airport runways, and eventually included roads and similar surfaces. McAdam’s macadamization process, along with Hooley’s addition of tar and slag, is still the most widely used road making process in the world.